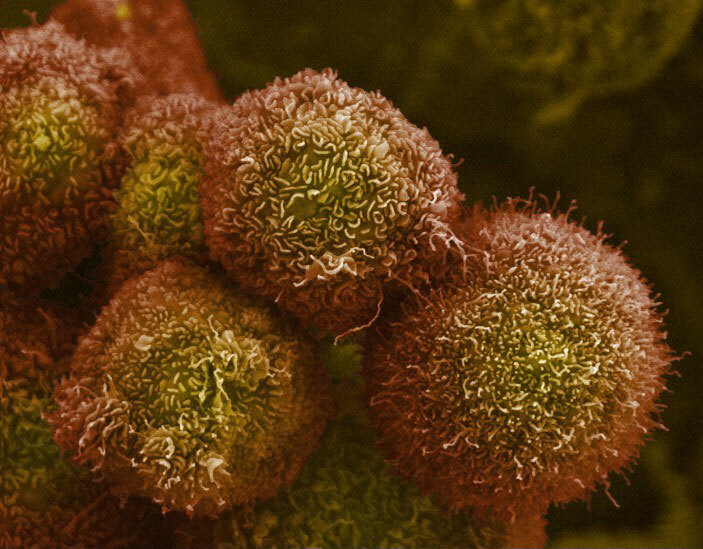 Merrimack Pharmaceuticals said today it will cease development of its pancreatic cancer candidate MM-141 (istiratumab) following its failure in a Phase II trial. MM-141 missed its primary and secondary endpoints in the Phase II CARRIE trial (NCT02399137), designed to assess the addition of the drug candidate to standard-of-care treatment in patients with previously untreated metastatic pancreatic cancer and high serum levels of free insulin-like growth factor-1 (IGF-1). The trial enrolled 88 patients who were randomized 1:1 to treatment and control arms to assess MM-141, in combination with the standard-of-care chemotherapy (nab-paclitaxel and gemcitabine), versus chemotherapy plus placebo. MM-141 plus nab-paclitaxel and gemcitabine failed to show statistically significant improvement in efficacy compared to nab-paclitaxel and gemcitabine alone. The results were consistent in all subgroups analyzed, Merrimack said. The primary endpoint of the CARRIE trial was progression-free survival, while secondary endpoints included objective response rate, disease control rate, duration of response, overall survival, and safety. Merrimack initiated the study in May 2015 and completed enrollment in June 2017. MM-141 was a wholly owned, fully human, bispecific, tetravalent monoclonal antibody designed to block tumor survival signals by targeting receptor complexes containing IGF-1R and ErbB3 (HER3) cell-surface receptors. IGF-1R and HER3 complexes together activate the phosphatidylinositol-3-kinase/AKT/mechanistic target of rapamycin (PI3K-AKT-mTOR) signaling pathway, which has been shown to allow tumor cells to grow and develop resistance to chemotherapy. MM-141 was designed to suppress the PI3K-AKT-mTOR pathway by binding to both the IGF-1R and HER3 receptors. Merrimack added that it plans to present complete data from the CARRIE trial at an unspecified upcoming medical oncology meeting. “While these results are disappointing, looking forward our focus remains on the continued development of our deep, wholly owned pipeline,” Merrimack president and CEO Richard Peters, M.D., Ph.D., said in a statement. That pipeline, he said, includes two cancer candidates for which Merrimack expects to read out data from clinical studies later this year. One is MM-121 (seribantumab), a monoclonal antibody targeting the HER3 (ErbB3) receptor that is being tested in combination with standard-of-care treatment in two randomized Phase II studies: SHERLOC (NCT02387216), in patients with heregulin-positive non-small-cell lung cancer, and SHERBOC (NCT03241810), in postmenopausal women with heregulin-positive, hormone receptor positive, HER2- negative metastatic, unresectable breast cancer. Both studies are enrolling patients with high tumor expression of heregulin, the signal for the HER3 receptor. Top-line results from the SHERLOC study are expected in the second half of 2018, Merrimack said. Also expected in the second half of 2018 is data on the safety and maximum tolerated dose of MM-310, an antibody-directed nanotherapeutic targeting the EphA2 receptor. MM-310 is currently being evaluated in a Phase I trial (NCT03076372) in patients with solid tumors. Investors responded to the failure of MM-141 with a stock selloff that sent Merrimack’s share price tumbling 35% from Friday’s close of $9.15, to $5.95 in premarket trading as of 9 a.m. The failure of MM-141 comes more than a year and a half after the company eliminated 22% of its workforce in a restructuring that included the resignation of Dr. Peters’ predecessor as president and CEO, Robert Mulroy. Merrimack’s workforce has shriveled in recent years from 426 full-time employees as of January 31, 2016, to 72 full-time employees as of January 31 of this year. Of those 72 employees, 48 were engaged in R&D, the company stated in its Form 10-K Annual Report for 2017.